Jamie Dimon should come out swinging in Senate. JP Morgan Chase Chairman Jamie Dimon will appear before the Senate Banking Committee in Washington on Wednesday. 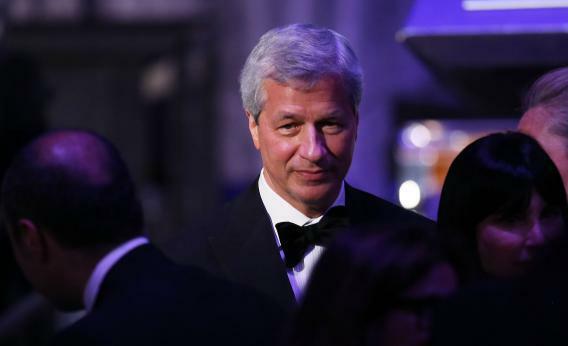 Which Jamie Dimon will appear before the Senate Banking Committee in Washington on Wednesday? The self-effacing JPMorgan boss offering apologies for his bank losing at least $2 billion on bum trades? Or the combative JPMorgan leader who just a year ago publicly challenged the chairman of the Federal Reserve over regulation? It would be best if the latter shows up. That may sound counter-intuitive to the tar-and-feather-Wall-Street brigade. But a mealy submission from Dimon may help effectively nationalize the American banking industry for good. Consider the implicit message the senators who called Dimon before them are sending: that banks must answer to the nation for any losses they incur – and that watchdogs and regulations should somehow be able to prevent them. It’s that kind of thinking that codifies large banks like JPMorgan as public utilities, fostering the false sense of security that they are too big to fail. The 2008-2009 bailouts first put that notion on the table, lulling shareholders and bondholders into believing systemically critical banks won’t be allowed to go under. That drives down their funding costs – especially for deposits. The 107 U.S. banks with more than $10 billion in assets paid an average of 0.53 percent for their deposits in the first quarter, according to the Federal Deposit Insurance Corp. The remaining 7,200 had to pay 50 percent more. Compare that to five years ago when America’s largest banks shelled out about 10 percent more than the rest of the country’s banks. Over time, this advantage is likely to squeeze out competition – and may choke off credit to small businesses and consumers. The top 107 U.S. banks already hold a record 79.6 percent of all of the country’s banking assets. That’s why it’s important that a more assured Dimon takes the stage. He should remind senators that banking involves taking risks, which means some losses are inevitable. But as long as a firm has the wherewithal to mop up the red ink – and has written a credible will in the event of its demise – such losses should primarily be an issue for the bank’s shareholders and creditors, not politicians or the general public. Dimon’s lax oversight of the chief investment office has swiped about $30 billion from JPMorgan’s shareholders. They, and bondholders, should be worried – and on the hook should JPMorgan fail. They ought to take matters into their hands and demand better risk management – even ask for Dimon’s head to roll if they think that would do the trick. That they’re as cavalier about JPMorgan’s risks as Dimon has been to regulators over the years is the greater public problem.